Houston's longtime mentor and producer—seen here alongside the pop diva at his annual pre-Grammy gala in 2011—paid tribute to the late music icon Saturday evening at the Beverly Hilton, where Houston died hours earlier. It was a surreal scene: Whitney Houston died at the Beverly Hilton, and hours later, and a few floors below, her life was being celebrated at the event where her career had launched. On Saturday night, Davis — Houston's mentor, producer, champion and longtime friend — memorialized her at his pre-Grammy gala, held downstairs in the same hotel where her body was being examined by coroner's officials. Ray Davies and Elvis Costello took to the stage to perform as Los Angeles county coroner's Capt. John Kades arrived at the hotel. Alicia Keys arrived earlier and embraced Davis as he prepared for the show under extreme duress. With celebrities including Quincy Jones, Tony Bennett, Dr. Dre, Mary J. Blige and Jennifer Hudson in attendance, a somber Davis, reading from a sheet of paper, said: "I am personally devastated by the loss of someone who has meant so much to me. She was full of life, looking forward for tonight. She loved music and she loved this night that celebrated music." 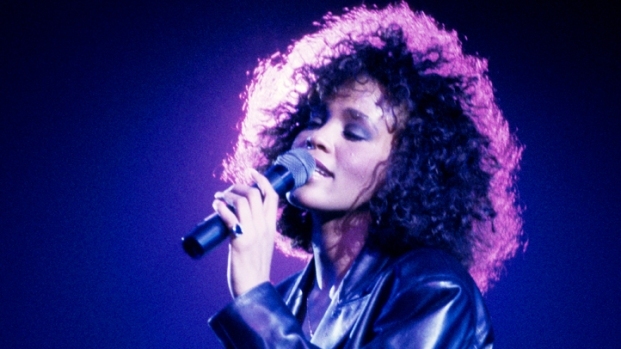 He added: "Whitney was a beautiful person and she had a talent beyond compare. She graced this stage ... so many times. So simply put: Whitney would have wanted the music to go on." He dedicated the evening to her and asked for a moment of silence as a photo of the 48-year-old, hands wide open, looking to the sky, appeared on the screen. Then, he said with excitement: "Now ladies and gentlemen, let the music begin." Bennett, the evening's first performer, recounted other recent big-name deaths in the music industry. "First it was Michael Jackson, then Amy Winehouse, now the magnificent Whitney Houston," he said. "Let's legalize drugs, like Amsterdam. It's a very sane city now." He added that Houston was "the greatest singer I've ever heard in my life." The scene was somewhat surreal given Houston's shocking death only earlier in the day. But Grammy president and CEO Neil Portnow, who called Houston a friend, said "canceling the party was never an option." "A lot of us holding hands tonight, on each other's shoulders ... We'll be celebrating," he said. "The legacy she left will be here forever." He announced that Jennifer Hudson would perform a tribute to Houston at Sunday's Grammys. Diddy gave his own memories of Houston, recalling her incredible smile and positive spirit. He said when he heard she died, "I was in a state of shock." "Whitney Houston, simply put, had the greatest voice of the world," he told the crowd. "Hearing her sing was like listening to magic. ... We lost an angel, and anytime we think of Whitney, we have to remember the positivity she gave us, when she performed, she performed 5,000 percent. She wasn't a hater, she was a congratulator." R&B singers Monica and Brandy, heavily influenced by Houston, were supposed to perform together at the event, but Davis said the singers were "too heart-stricken." "I know the role Whitney played in their lives. Thank you for staying," he said. Earlier in the evening, India.Arie said Houston "set the standard for what it is to be a great female artist." Producer Jimmy Jam said her death was a "bittersweet irony" given that Davis heralded Houston as a great talent to watch when he had her perform at his party in her youth. 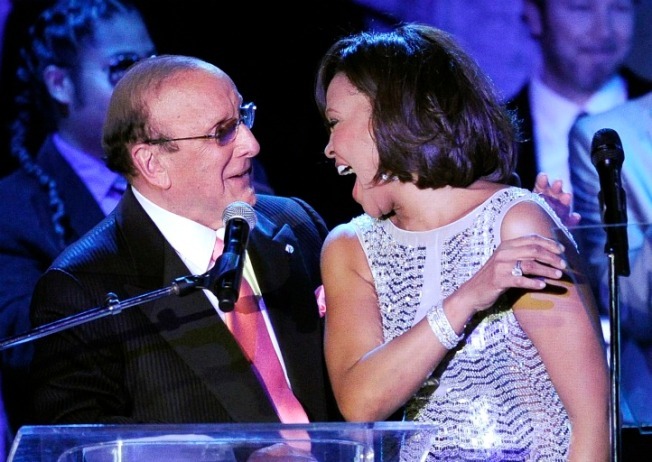 "The fact that it happened on this day, this event is where Clive Davis introduced Whitney to the world. We said hello to Whitney at the Clive Davis (gala), it may be appropriate we're saying our first goodbyes to Whitney at a Clive Davis event," Jam said. "In a weird way it's appropriate, the show must go on. I think Whitney would have wanted that to happen. ... Tonight I think we begin to celebrate and remember." Keys called the evening a "very special night" and, after singing a line from Houston's "I Wanna Dance With Somebody," noted how the late diva had inspired her. "You think about how this person touched you," she said. "(Then) you form a friendship, a sisterhood, a bond. You see how incredible they really are. ... She was a sister to me." Moments later, she launched into her hit "No One," saying: "This one's for her. Let's sing her into heaven." Check out other celebrity reaction to Houston's death here.